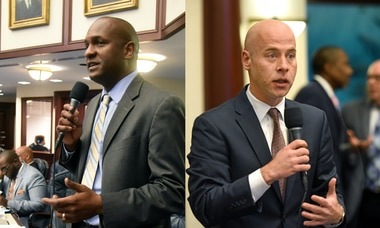 According to Chris Hudson, director of American for Prosperity's Florida operations, the group aims to draw a line in the sand as discussions continue between local government officials and the Rays to ensure no taxpayer money is used. Starting today, residents of the Tampa Bay area may start to see a new video ad on their social media feeds assailing the idea that public money could be used to build a new baseball stadium — complete with an animated "taxpayer" being bowled over by a player sliding into a base. 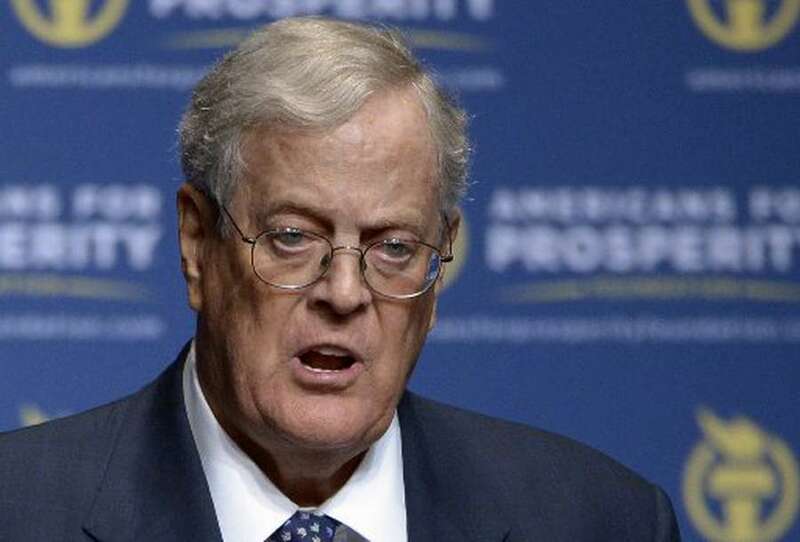 It's part of a new campaign by Americans for Prosperity, the activist arm funded by the billionaire Koch brothers, Charles and David, as the powerful conservative group sets its sights on the Tampa Bay Rays stadium fight. According to Chris Hudson, director of AFP's Florida operations, the group aims to draw a line in the sand as discussions continue between local government officials and the Rays to ensure no taxpayer money is used to woo the team from one side of the bay to the other. It has launched similar advocacy campaigns in other cities when sports teams seek public funds for new stadiums. "When it comes to the big game of corporate welfare, the taxpayers are always the losers," the video says. While the video remains fairly generic — it cites pricey baseball stadiums around the country, including for the Miami Marlins — the group will also include a form letter for residents to sign. It's intended for the Hillsborough County Commission. "Dear Commissioner: I am contacting you to urge you to oppose taxpayer funding for professional sports facilities," the letter reads. "Families and hard-working Floridians deserve to either keep their tax money or have it spent on essential services." So far, the commission has sent mixed messages about its willingness to use public money for a potential stadium in the Ybor City area. Early estimates for the stadium have put the cost somewhere in the $500 million to $650 million range. While several Hillsborough commissioners have said they're against any "taxpayer dollars" subsidizing a new venue, they've also discussed using other public money as creative funding sources, such as raising the tourism "bed tax" on short-term rentals from 5 to 6 cents. The commission also is considering using increased taxes from new construction in community redevelopment areas, or CRAs, which overlap the piece of land proposed for the stadium. Hudson called these ideas "sneaky slush funds." In a statement, Hillsborough County Administrator Mike Merrill cautioned against jumping to any conclusions yet. "At this point, there have been no decisions on financing, funding or even costs — in fact, it hasn't even been presented to the commission for discussion," he said. "It is premature to make any assumptions. We are focused on the due diligence needed to fully vet a proposal of this scope as our responsibility is to the people we serve." Tampa Bay businesses have also indicated they are willing to pitch in for the team to move. On the other side of the water, St. Petersburg has also proposed to renovate the existing Rays stadium in an effort to keep the team, by similarly using money from the existing bed tax or new development on public land. Ben Kirby, spokesman for Mayor Rick Kriseman, confirmed these considerations but said the mayor "has no plans to ask our taxpayers to incur the costs of a new stadium via a new tax." According to a study by the Florida Office of Economic and Demographic Research, financial incentives from state government to professional sports teams only bring back 30 cents for each dollar given to the team. Amy Baker, chief economist for the Legislature, said the return is likely higher for local governments rather than the state, but it's hardly a guarantee that the local government will break even. 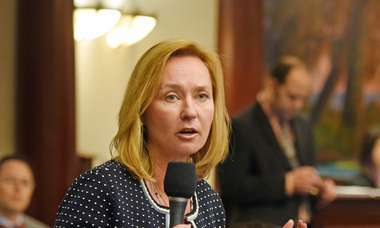 The digital ad is only the start of the campaign, according to Americans for Prosperity, which is prepared to use its ample funding to launch phone banks and radio ads and to send out mailers to further encourage Tampa Bay residents to pressure their politicians.